The largest containership built in the United States cruised into Honolulu Harbor on Nov. 28 after three years of construction and an initial voyage from Philadelphia to California via the Panama Canal earlier this month. 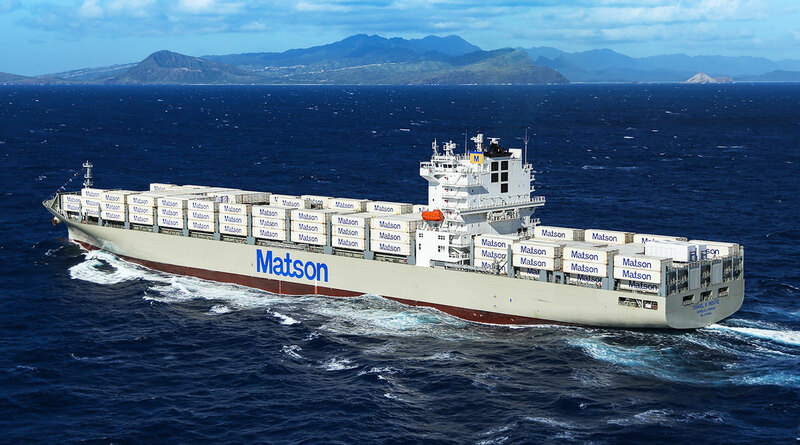 The 850-foot-long Matson vessel named after Daniel K. Inouye, the state’s late U.S. senator, delivered cargo from Oakland and Long Beach, Calif., and joins the company’s fleet of 10 ships serving Hawaii. Matson spent about $210 million on the ship, which can carry the equivalent of 3,600 20-foot containers (TEUs). It now is the biggest and fastest ship operated by the Honolulu-based company. The biggest of Matson’s older ships, the Mahimahi and Manoa, were built in 1982 and have a capacity equivalent of 2,824 TEUs. In picking the ship’s name, Matson chose to honor a powerful advocate of the U.S. maritime industry and Hawaii’s position in it. Inouye, who died in 2012, was a longtime supporter of the industry including the 1920 Jones Act that requires all cargo moved between two U.S. ports be carried by vessels that are built in the country, owned by a U.S. entity and operated by a U.S. crew. The Inouye is the first of four ships Matson ordered in recent years. The second new vessel, which is named Kaimana Hila and is similar to the Inouye, is under construction at Philly Shipyard Inc. and is scheduled to be finished by March. The next two ships, named the Lurline and Matsonia, will be 870 feet long and capable of carrying the equivalent of 3,500 TEUs and 800 vehicles. They are being built at a San Diego shipyard operated by a subsidiary of General Dynamics and slated for delivery in late 2019 and late 2020. Because the new ships are bigger, Matson will be able to operate its Hawaii service with nine ships instead of 10 after the third new ship is put into service toward the end of next year, at which time the company expects to start saving about $30 million a year on ship operating expenses. Besides a bigger cargo capacity and faster speed of 23.5 knots, the new ships, which are costing Matson $929 million in total feature more fuel-efficient hulls, diesel engines that can be adapted to use liquefied natural gas, fresh water ballast systems and double-walled fuel tanks. The four ships will allow Matson to retire seven steam-powered vessels that were built between 1971 and 1980 and include four held in reserve. Also because of the new ship additions, Matson can put three younger diesel-powered ships into reserve status. “The substantial investment in new technology underscores Matson’s long-term commitment to Hawaii and our desire to serve the islands in the most advanced, environmentally friendly way for years to come,” Cox said.